Last term was alright and I enjoyed it a bit. During last term I had done less last term because we hadn’t started our netball games yet. During last term we had camp , we wrote our thoughts about camp and this is some of it. My thoughts about camp a unbelievable because I couldn’t wait. Camp was about having fun and taking charge of what you take care of. My group was called Responsiblez. When camp comes up I can’t wait till Concert night that is the best bit about camp. Until Camp comes we can have heaps of fun and watch a movie on the first night of Camp and wait till our Camp concert comes on Tuesday night , I wonder what it will be like? I reckon it is going to be Funny and exciting to watch. Till Camp arrives I will pack and get all my stuff sorted. Well that’s what I thought about camp. We started up a Maths group last term and we went to different classrooms for it. We also started up a group called Taonga time we also go different class’s for that too. On the Second week of school we had Technology I was in Electronics it was awesome. Also this term Ms Tito decided to make the Kapa Haka group happen so I can’t wait till we start performing. This Term I hope it’s even better we are going to be starting up the games for Rugby and Netball the teams have been training really hard and a lot this term before the games come up! Our Netball games a starting up next week on Tuesday in the afternoon. Our Topic this Term is BIGGER , BETTER , FASTER , STRONGER. We have been doing Immersion Rotation going to different classes. Our Kapa Haka is always on Fridays so we won’t be doing Taonga Time. The Netball girls have started up there games Team 2 have won all there games. Last week the Player of the day for Netball Ocean was Player of the day for team 2 was and April was the Player of the day for Team 1. I’m so happy because we might be able to take our Netbook’s home this term it will be really helpful. I didn't know that you were such an awesome writer ? 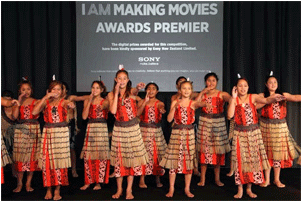 And I LOVED how Ms Tito started Kapa Haka because its so cool preforming in front of the school and at other places.